Yesterday I listened to the first chapter of Rising Strong by Brené Brown at the gym. And I have to say that it totally spoke to me. In this chapter, Brené Brown talks about the physics of vulnerability. She defines vulnerability as having the courage to show up and be seen when we have no control over the outcome and talks about falling and rising up to continue fighting. 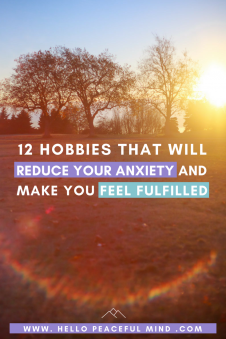 It made me think a lot about how to deal with my own failures. Today, I think it’s difficult to share our failures because we live in a world embellished by social media. People only share what is going well in their life so we think that they have it easy. But in reality, we are all dealing with failure. If you want to be successful you have to fail, learn from it and stand up. The problem is that we have the tendency to compare yourself with others, and from what we know, they are doing amazing. This behavior is pressuring us to do great and when we don’t succeed from the first try we feel like a failure. The pressure of being successful is even stronger when you have been successful in the past and people are expecting you to do great. You see, after graduating with a bachelor degree in international business from France I moved to Seattle to be with my boyfriend. At 25 years old, I got married to him and I started my journey working in the tech industry as a contractor for Microsoft, and then Google. At 28 years old, I bought a house. At 30 years old I paid off my car. This is living the American dream when you are from France. A few years ago, my college even asked me to represent the international business bachelor program. I’m 31 years old and feel like starting all over. To be honest I had a mental breakdown a couple of years ago when I realized that I forgot my laptop at home when I parked at work after spending more than an hour stuck in traffic. That day I decided that things had to change, I could no longer live like that. Last November, my boss found out that he could not renew my contract because of a two-year policy and had to let me go. I thought that it was perfect timing because I needed a break. Since I moved to the USA I have been working almost non-stop, taking only a couple of weeks off each year and I was having a really hard time with life. I felt like all I did was working and watching Netflix. So I told my friends and family that I would work on my blog and photography business. But here’s the thing, my plans did not go as I expected at all. As of today, I am not making enough money to pay all of the bills and I will stop receiving unemployment in a few weeks. But you know what, I realized that I shouldn’t care about what other people think. If I disappoint them, it’s not my problem, they are the one who shouldn’t be judging me. Yes, I am struggling to become a full-time blogger/photographer but I am not giving up! Because for me, being successful is living life fully while making enough money to pay the bills. To be honest, when I first realize that I failed something, I am feeling depressed. First, I think of everything that I could have done differently. But then I can’t take it anymore so I just shut down. Usually, I give myself a day or two to do nothing and lose myself in a show or a book to stop thinking. I need this time. Without it, I won’t be able to move on. For example, I think that the reason why things didn’t work out as I wanted for my blog and photography is that I based my pricing on what other people are doing instead of thinking of my own audience. Once you know what you can do differently, change your strategy. It might be something small or you can start everything over. It’s okay! Don’t overwhelm yourself with a detailed plan, just create a roadmap with the main phases of your goal. 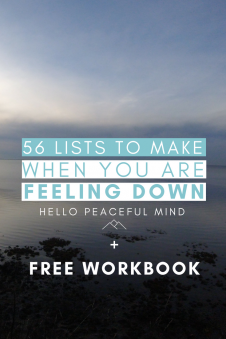 If you want to learn how to do it, I have a course and workbook for you here. I think the most important tip I can give you is to not spend too much time planning. Just start doing and create the details of your plan on the go. By taking action, you will be able to learn what works and adapt your strategy accordingly without spending too much time planning. The truth is that we all fail, and when you fail, you can learn something from it. The way I see it, failure brings you closer to your goal! Remember, you are doing this for you. How do you deal with failure? Do you have any tips that would help others? I have always looked up to you as a mentor and I definitely see your successes more than any failures. By the way, why don’t we stop saying “failure” to say “learning” instead? Just want to say THANK YOU for this post !!! This is so true. Life doesn’t always go as expected. I had a life plan and it didn’t go as I wanted but I learned so much. Life is not linear and they are lot of obstacles. But like a horse you have to jump and if you fall you Stan back up start walking running and jump again better and higher. I recently find myself in a situation I never thought I would be at : I got “let go” by my company. And as half surprised I was I am kind of relieved. Now the real question is what am I gonna do now. I enjoy this free time I take for myself and I’m building another plan. As I’m turning 30 this year I already wanted to do some different story stuff personally and professionally and I think it was supposed to happen for me to be able to do so. I must say lucky my family is here and my mom is actually a life coach/ personal development and neuroscience coach and it help me a lot because I think I would have react differently. Or maybe not who knows? We do learn from our failures or should I say experiences and the most important is how you going react once you accept what’s happening or what happened. Sorry for the long comment but it does really talk to me. Julie, I admire you and your blog a lot! We have similar goals and visions for our blogging business. 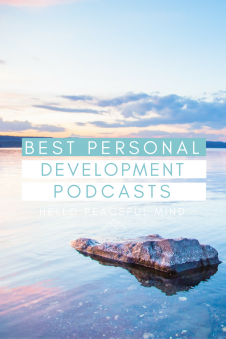 Personal development is hard – it doesn’t have the same instant rewards as personal finance for example, or satisfy an urgent quest for info like being pregnant / having babies. I think that is why it is more challenging to sell courses etc on a better life. Keep working on it all – you are very valued.